Lamb shank is a popular cut of meat that has been brought into the limelight with the rise of the gastropub. 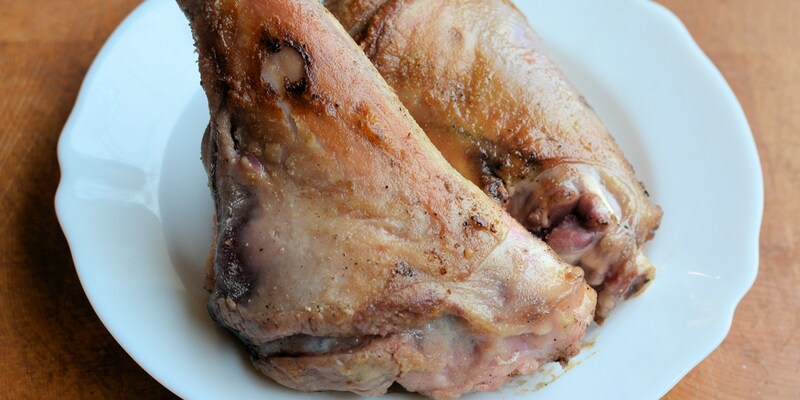 Although traditionally braised, lamb shanks benefit from being cooked sous vide because the low temperature and lengthy cooking time help to break down the tough fibres in the meat without drying it out. Try adding other herbs and spices to the bag such as tarragon, thyme and garlic. For a Moroccan flavour, add some ras el hanout or toasted cumin seeds to the bag. For a richer, more indulgent lamb shank, sear the meat before putting it into the bag, swap the oil for some reduced red wine and add some lamb or veal stock. Lamb shanks are wonderful with a rich sauce and creamy mashed potato. For something a little different, Anna Hansen serves Lamb shank with soft polenta and Persian lime pesto while Martin Wishart keeps things simple serving his Lamb shanks with tomato and rosemary.